I have a heavy heart to write this post this morning. Life is really kicking in full gear for me right now. 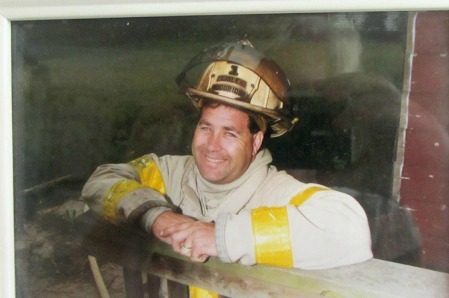 As a lot of you know that follow my blog my husband Terry just got a new Fire Chief Position in a town over an hour North of where we are settled into our current home. It was two long years of struggle in an employment market full of competition, age discrimination and politics before he landed this new job. We prayed and stayed faithful something would happen and it finally did. With the excitement of him getting back into a job he loves, it now has brought new challenges for us. We are in the beginning stages of selling our current home to move closer to the community he serves. We have had a few showings with very positive feedback so we hope we will find a buyer soon. 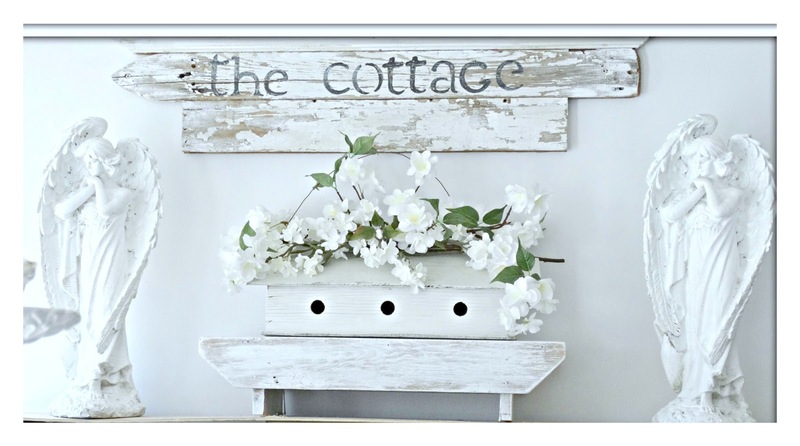 Hopefully soon we will be moving onto finding Junk Chic Cottage III. The area we will be looking is very expensive and we will probably find something with very small sq. footage for a lot more money. I am ok with that since I find as I am getting older and hopefully wiser that I need less stuff. I had the big house while my girls were growing up and now with it just being Terry and I and little Cooper, I do not need a lot of space. I just want cozy and have rooms I actually live in and use. So that is our goal in the next place. While all of this stress is going on with selling and buying and moving life has taken another turn for me. My mom lives in Florida and has become very ill and is having a hard time recovering from pneumonia with her immune system being depressed from her cancer treatments. This has been so hard with her living in Florida and me up here in Illinois. This week I will be venturing down to Florida to make sure her release from the hospital and moving into a rehab facility will be an easy transition. Hoping in rehab she will regain her strength and be able to go back home to her Apartment. Then the next part of life will be to move my mom back up this way to be near me. One thing we have learned is when you have an elderly parent that becomes ill you really have to be in their lives on a daily basis. So I will begin the process of moving her up to Illinois when she is strong enough. My mom is heartbroken to leave her beautiful year around weather and her friends but she has finally realized that family is important and I can only give her the care she needs if she is up here with me. My heart is heavy to disrupt her life as she has known it but my mom is 85 years old and her body has been through a rough time with cancer and diabetes so it is time. My life and family are here in Illinois so she does understand she needs to be closer to all of us now at this point in her life's journey. I have shared all of this with you today in hopes that you can pray for my mom and for Terry and I as our lives are in transition. One thing I have learned with all we have been through is family and friends are the most important part of life. When things seem so bleak they are there to pick you up and cheer you on to the finish line. 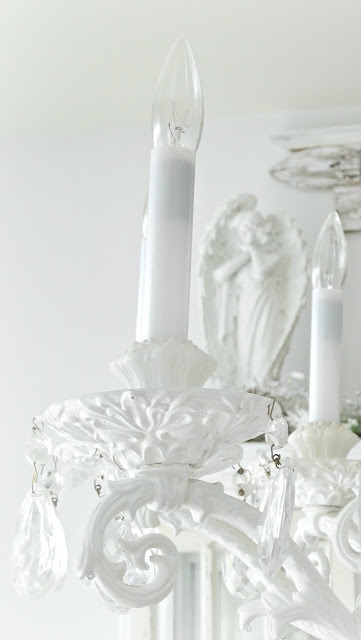 All of you have become very dear friends over the past 6 years I have been blogging on Junk Chic Cottage. I have loved getting to know each and everyone of you and am blessed with your friendship. Sharing your big hearts has blessed my blog and life in so many ways. So Junk Chic Cottage blog will be taking a short break while my life is moving in a new direction. I promise I will keep you posted on my journey to finding a new place when our home sells. Then hopefully will have some before and after decorating crazy to share when we find the new cottage to call home. I will still visit your sweet blogs when I can it just will be pretty quiet here at Junk Chic Cottage. Thank you for your prayers, good wishes and hopes of new and better things ahead for us. Life has a funny way of taking wild twists and turns sometimes. So while I buckle up and keep my hands and legs inside the ride at all times!!!! I wish the best to all of you. Life sure throws some curves, doesn't it? Best wishes and lots of prayers as you navigate these new waters. I'll sure look forward to your return here in blog world! Big Hugs Kris as you start this transition for your Mom. I moved my Mom from Houston 3 years ago and it was so very hard. But to care for her (she will be 87 this year) she had to move where I live in Georgia. She is doing well but now I'm a caretaker full time but blessed to have my Mom still with me. God bless you, Kris. I know exactly what you are going through and understand the need to take a break from blogging. It is hard enough to just keep up with life somedays without having to worry about getting a post up and staying connected. Blessings to you and your mom Kris. I hope all goes well. You will be missed! My heart, thoughts and prayers are with you. God Bless. I do hope things turn out the right way for both you and your mother. It's not easy having one parent so far away. I will wait for good reports from you as soon as you're able too. I'm so sorry your mother is not doing well, Kris. I hope she recovers quickly so you can move her close to you where you can care for her. I'll be thinking of you and we'll all be here waiting when you're ready to join us again. Take care. Oh Kris. Such bog life changing decisions always shake us up a bit don't they? Prayers first off for your mom and a safe and speedy recovery for her. Prayers for you and Terry for a quick sale and for just the perfect Junk Chic Cottage to come to fruition. Lastly prayers for a smooth transition for you Mom. I know this will be heard on you and her. We will be right here when you return from luving your family!! Kris, you have quite a load on your shoulders right now! I will be praying for your Mother's quick recovery and her transition into a new chapter in her life near you. It will be an adjustment but having you, your children, and grandchildren near will truly be a blessing for her I know. Prayers going out for the sale of your home and that you will find just the right little place to make into you Junk Chic Cottage #3 too! I am so sorry you have to go thru all this. I will continue to pray for you and your family!!! Sweet Kris - Am so sorry to hear of your Mom's health problems in addition to all you have going on. I know your house will sell and you will make your new cottage just as sweet as the other two. I will be praying for quick sale, new home and you as you tend to your Mom's health issues and move. Thank you for sharing your heart with us. I will be praying for all of you. Moving is so stressful and then to have the concerns for your mom on top has got to be rough. Make sure you are taking good care of youself sweetie. I know all too well how life can change in an instant. Lifting your mother, your husband, and you in prayer! Family always has to come first and I certainly understand where you are. I will be praying for a speedy recovery for your mom and an easy transition with your home. Prayers for all of you as your lives are changed and rearranged and a new normal begins. It is so very important to be there with your Mom at this time. Hugs. Kris you are such a joy and I love reading about your life, looking at your beautiful home and seeing what's next for you and your family. I have been down that road with my Mom. She has since passed but I know how difficult it was for me too when she lived nine hours away. It's wonderful that you will be bringing her to live closer to you but at the same time I understand how you feel about uprooting her. It's so difficult. But in the end the most important thing is that she will be near you and you can see that she gets the care she needs. Also, I wish the best for you and Terry and I hope your house sells soon and you find a new cottage to love. I will be praying for you, Terry and your Mom. Kris, you must take care of family and the things in your life first. My mom is 84 and I know some day she will need my help, too. At least she is close by. Take care and we look forward to seeing your new home. I am so sorry to hear about your Mother. Sending prayers for a speedy recovery, house sale and move of your mom. Aw Kris, so sorry to hear about your mother's health. I know that so many of us can relate. :( Life sure is good at throwing you curve balls, my friend. Family always come first and my thoughts and prayers are with you as you figure out this next chapter in your life. Sorry to hear about your mom's health problems. I hope everything works out for you all and you are back to blogging before too long. It seems that when it rains, it pours! My family and I had horrible times during 2016, and so far 2017 is following suit. I pray for you and your mother. May you find the home you and your husband need, and a place for her as well. Take care, and never give up! I will be praying for you and your family. I know life can be a ride. You are so right on what you shared in your last sentence, keep arms and legs in the ride at all time, that made me smile. Up and down we go, we continue to fight on. Of course I will pray for you, Terry, your Mom, the move(S), good health and a peace during all of this. Don't forget to take care of yourself so that you can care for your Mom and others! Sending HUGS!! We will all be patient and wait until you feel you are ready to return to blogging. Prayers being sent up. It is time for being with your Mom, I have lost both parents and I understand and empathize with you... caring, loving and being supportive. Know my heart is with you and I am sending loving thoughts your way. Prayers always for your mother and family. Life's challenges certainly have a way of helping us to realize what is important and refocus our energies where they are needed. Take care dear friend! I will be checking in frequently, hoping to get a few updates as time permits for you. Love on your mom and she will transition with her move with the warmth you provide in the love you share. Pace yourself Kris, deep breath and exhale to then move forward with your plans of another beautiful junk chic cottage. Your mom will settle in when family surrounds her in a move to be closer to you. I am sure equal stress goes along with moving your mother as yourself, but with her settle in closer to you she will be close enough to address any needs she may have. I am sure you will find that sweet old cottage with all the charm you are after for junk chic and yourself and Terry. I just know with all the clean-up and added beauty you gave junk chic #2 it will sell soon and at its top price. Will wait to see the cottages you pick out and hopefully the choices you share with us. Oh Ellie you are so sweet. My lives in a senior apartment in Winter Haven Florida which is about an hour outside Orlando. Wow you went through a lot of rehab so happy to hear you are doing better. I am hoping my mom's recovery will be a good experience too and she will regain some of her strength and get back to living independently like she wants. I just need her to be closer to me so I can be there is she needs anything. I hope your mom is able to make the move soon. It is very sad to see parents decline, but being near family will be best. Sending healing thoughts and prayer. Darling friend, I do know what this is like. First of all, take care of yourself. Make sure you get your rest and eat well, do what you must to keep yourself as caretaker in the best mentality and fitness. She needs you well. You know I will be praying. Saying a prayer for your Mother's recovery. Hopefully you will be able to move her here in the summer when it's warm. Good luck with selling your home. I'm about two weeks away from listing mine. Life really is a roller coaster. I pray you keep the faith and strength to weather all of these life trials you're facing, Kris. Please remember to take care of you, too. Thank you so much. It is so hard when our parents get older and are sick and need help and we are far away. So I am hoping that while this is so stressful right now we will get to a better place soon. All the words of encouragement help so much. My thoughts and prayers are with you. Both set of our parents are gone and we went through various stages with all of them. My husband's father lived with us and we never regretted it. You definitely have much to deal with right now. Praying for your transition and for your mom's as well. Hoping it all goes smoothly. I know we are closer to that stage with Bruce's mom. She won't like leaving her home either. I am hoping she remains healthy for a long time yet; right now she's going strong (praise God!) but she is 81. You know we will be waiting for you when you return. I appreciate your friendship very much. Take care of yourself. You have a full plate that's for sure. Family always comes first. I have friends that have dealt with this situation. I'll be saying prayers for you and your mom. I'll be waiting for you to post again. Take care my friend and hugs to you and your mom. We will be here waiting for you because life and family is important. Praying for all of you and we will see you soon. Bless you in your endeavors. Wish there was some way I could help but know that I will hold you close in prayer during the trying days ahead. One day you will look back on this and smile at the memory. Best of luck Kris with all of this- especially your mom. I know another blogger who lives in the Atlanta area and had to do something similar with her mom and bring her from Texas so she could help with her needs. Bless your heart for helping her like this. It surely is scary when they have additional health problems. I pray she will get the much needed strength to recover soon. Take care and best of luck with the sale of the home. transition her to be near you and take care of her. I am sure that all will work out as God always has His loving hand working in our lives. I will be praying for all of you as you move ahead in this time of many changes. You will be greatly missed but will be in my thoughts and prayers. It's spring and a time of new beginnings. Prayers that yours will be filled with an abundance of all that you need and all that delights your heart! Dear Kris, my heart goes out to you as you face these many challenges and coming from one that understands challenges that last for a long time I truly understand. I wish you the best and pray for you and your sweet family. You have been a wonderful Angel in need at a time that I needed one so badly and only you could fill that space that the time. Thank you for that and know that my love and prayers go with you. Have a safe journey and smile knowing that you are a divine daughter of God who loves you and wants nothing but your happiness. My mother is 84 and dad 87 and it worries me that they live far away from all of us, 2-3 hours drive from brothers. I am much farther just as you are. So I do understand how you feel. I ray your mother improves and can move near you. The blog is the least of your concerns right now so do not feel bad about taking a break! God Bless you and your family in this time of need. I have said a prayer for you. I am a fellow nurse. I am so proud of you for taking care of your Mother! I took care of both of my parents, so I know the emotional rollercoaster you are on. They took care of us, so now it is our turn. I am sure she knows how blessed she is having a nurse for a daughter. Things will work out Kris, you know in your heart that GOD is in charge. I will continue to pray for you and your family. Life can certainly be interesting, albeit challenging, can't it? I've said it before and I'll say it again...No one handles these challenges with more grace than you Kris. Everything is going to work out. First and foremost take care if yourself. Take the time to relax, call a friend, even post your frustrations here if need be. You know we all love you and are pulling for you! In the meantime, praying for your mom's full and complete recovery and for a quick home sale. Prayers for all you have ahead of you. Dear Kris, you will be in my thoughts and prayers as you take care of your mom. I so hope she recovers well and makes a smooth transition to Illinois. I have been in this exact place with my mother in Michigan and me in Texas. She was sick too and I had to bring her to live with me when my father passed away. It was a challenge but the best thing for her and the family. Life gives us changes doesn't it?, but with the love and prayers from family and friends, we make it through with our faith. I know you are going through so much with your own home move and now with your mom. Just take good care of you and know warm wishes come your way. Kris, you do have a lot on your plate right now! I definitely will keep you in my prayers. I hope that your home sells quickly and that all goes well with your dear mother! It is hard to take them away from their environment, but I know it has to be difficult being so far away. We have always lived close to our parents, so I can't even imagine! I find there is lots on our plates at this time of life between our aging parents and adult children and grandchildren. I applaud you, Kris, for seeing to the care of your mom and doing what it takes to move her closer to you. I understand how the transition will be difficult, but also believe you are doing such a good thing, especially for your mom, but also for your whole family. Will keep you in my prayers during this time of so many big changes going on in your lives. I am so sorry to hear about your mom and I know it will be better for everyone to have her near you. Good luck with the sell and have fun finding just the right fit for you, Terry and Cooper. Love, hugs & prayers for your Mom and you and Terry. May you be blessed with peace and strength for taking care of things. May your house sell and you find the right one for you to move to and make your new home. Kris, much love and prayers to you! I totally get this as we have been going through some of the same things and are now moving. As soon as we move, I've got to get to Alabama to see about my mom also. Love you sweet friend and will keep you all in my prayers. Please touch base! Love and hugs to you all!! You have been in my thoughts so much lately, and I am so thankful that I now know what it going on in your life. I am so very sorry to hear of your precious Mother's health concerns. However, what a blessing it is that she has a daughter like you to love and care for her. Your selflessness and precious spirit rise up so high. You will be in my thoughts and prayers for certain. Good Lord, Kris.... that is an awful lot to deal with. I hope and pray that not only your mom gets better and that she has an easy transition to Illinois, but also that life gets less crazy for you. I am so sorry to hear about the situation with your Mom Kris. I will keep you in my thoughts and prayers. I do hope everything will work for the best for you and your family. When there are hard times, as I know there'll be, just remember that many people are thinking of you, even when you're not blogging. I completely understand the need to take time away from blogging and take care of your personal life! It sounds like you'll be very busy and needed with your family the most. I'm always amazed when someone blogs during very busy stressful times. Maybe it is therapeutic for them, but I would find it difficult. I hope everything works out well for all of you and life finally gets to a slower pace. I can't remember if I have ever commented before ,as much as I have enjoyed your blog , but I felt compelled to this time. I will pray for your mom and you and your husband. I look forward to the time you share again. God's best to you all. Thank you so much Wendy for taking the time to leave these words of encouragement. So appreciated. Hope to share again soon. Praying for your whole family (especially your mom). Smooth transitions all around. And congrats on the job! Kris....I hope that your mom has a quick and successful recovery....I can relate somewhat as we had to move my mom from Florida too...she has made a great adjustment though...As we speak, I am with her now as my brother and sister in law are away....I know it is hard to juggle things such as the blog due to commitments with family and taking care of their needs come first....I will be thinking of you...you are such a great daughter and I know your mom so appreciates what you are doing for her....As they took care of us, it is our turn to take care of them. My thoughts and prayers are with you and your mom! I wish you the best as you face all of these daunting tasks, Kris. Your husband and mother are lucky to have your support and love. Hang in there! I hope to see you back with a happy new home and your mother safely nearby soon. Thanks Laurel. Thanks for your sweet and kind words of encouragement. So appreciated. My goodness you do have a lot going on in your life. I am so sorry to hear about your Mom and hope her recovery will improve. When I first moved into the Charmer my Mom came to live with me for 6 years. During that time she had a stroke and I had to hire a "caretaker" to watch her when I went to work. One day I realized that my parents had become the child and i the caret taker. It was a role I was happy and willing to take on. I don't know you well but I know you will take good care of your Mom and it will be better to have her close to you...know this journey will have it good and bad days. But it will be a journey worth taking because that's what children do for the parents who did the same for us... My thoughts and prayers will be with you...and stay strong. Oh Kris, I'm so sorry to hear this about your mother. After a week of getting ready for family this weekend, I just started visiting my blog friends after my son, daughter-in-law and our 2 little granddaughters left for home and learned of this at Lorraine's blog. I can imagine how difficult this must be for all of you. I will keep your mother in my prayers and for you and your husband with all that is happening now. I believe your mother will find many good things after she moves to make up for those things she will miss. There is nothing like family being near when facing a rough time. I am so sorry to hear about your mother. I too, cared for my elderly mother. She moved in with us four years before she died of cancer. The first three years were filled with happiness and peace for her. The last year was emotionally difficult on me, but for her, the best to place live out her final year. I would do it again in a heartbeat. You will not regret it in the end and neither will she! God bless! Kris, life is always full of transitions isn't it? Praying your mom makes a full recovery. Prayers for a safe journey to go down and help her get settled. Good news that Terry found a new position. All is on divine order. We will miss you but understand that you have a lot going on right now. We will be here when you get back. God bless you and your family! I'm so sorry to hear about your mom. I hope and pray that the move will be smooth for her. I'll keep you in my thoughts and prayers as you find Junk Chic Cottage III. See you when we see you. Keep us updated when you can. So sorry to hear about your mom's health challenge at this time, but it's wonderful that she is making the move to be near you. Best of luck with your own upcoming move. You have a lot on your plate right now. I hope that all goes well for you and your family. Hope you are managing well during this "transitional time". The bumps in the road can be hard to navigate. Been thinking of you and yours. I wish all the best for you! It is worrying with an elderly parent living far away - it happened to me too, you're doing the right thing. It's amazing how life throws us these curved balls all at once. With my work taking so much time, I don't have much time for visits but please know you and your family are in my prayers. Congrats on the house sale and I hope your new home finds you very soon! As I sit and read your blog today, I am filled with both sadness and happiness for you and your family. I have been delinquent on blogging for a while because of much that is transpiring in my world also. My heart goes out to you when I read about your mother, but on a positive side she will now be with her own family..great grandbabies will bring a smile to her face once again! Congratulations on the new job for Terry!!! God is good!